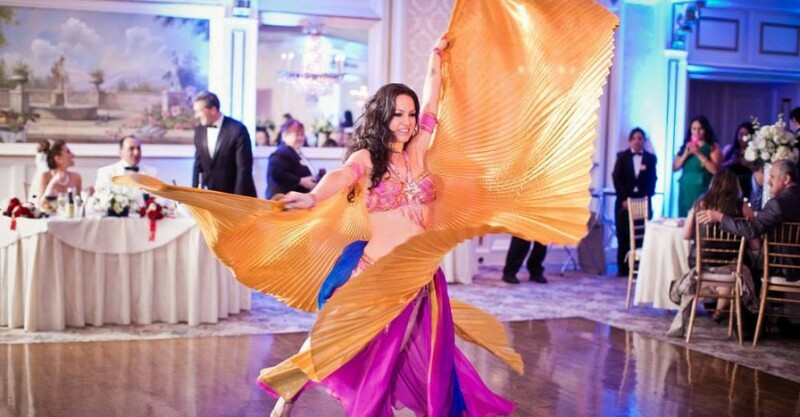 Layla Isis is a leading professional belly dancer based in New York City. 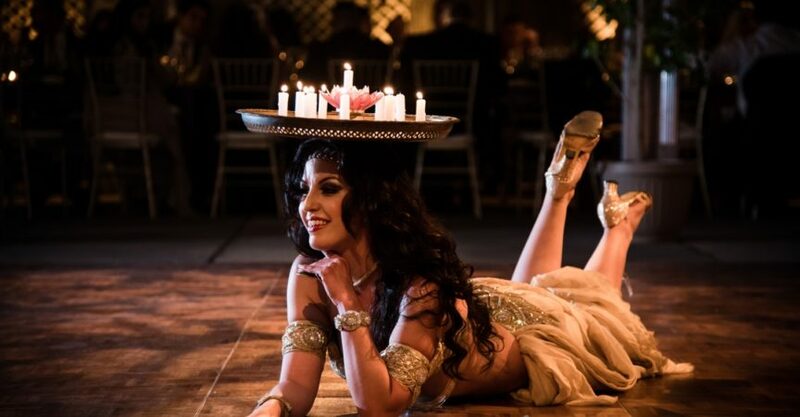 Known for her exuberant and elegant performances, she is a dazzling, exquisite entertainer bringing exceptional entertainment to special occasions of every kind across the New York and New Jersey area and beyond. Layla performs with a number of specialty props featured in the slideshow above. Popular show elements include an exciting entrance with dazzling wings or swirling silk veils and a dramatic balancing routine with candle tray or sword. The mastery of finger cymbals played throughout is an authentic addition to enhance the music and brighten the energy of the celebration. 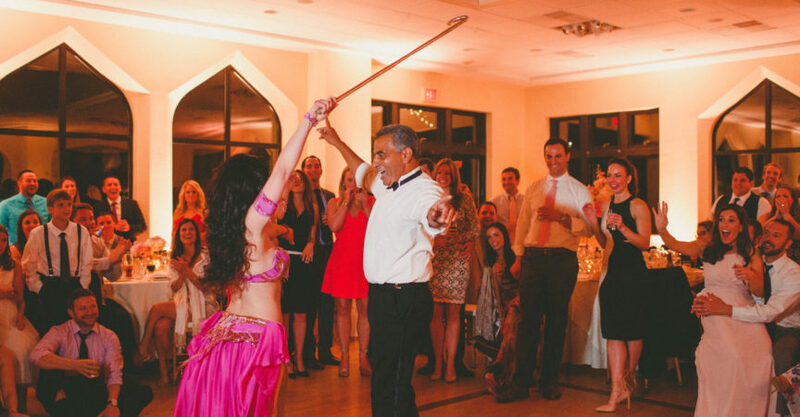 Audience participation and dancing with guests of honor are a fun and exciting way to involve the entire party and she has been sought out specifically for her ability to engage a crowd and get them up dancing. Fan-veils and LED light wings are also available upon request. 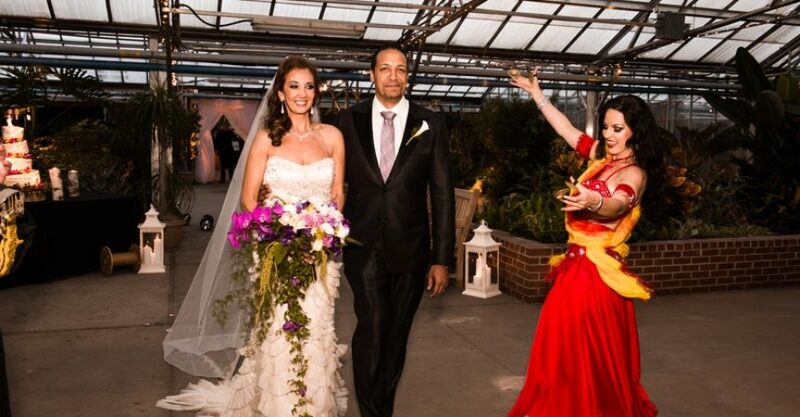 For Egyptian or Lebanese weddings she performs traditional assaya (cane) and a separate zeffa entrance with candleabra can also be arranged. 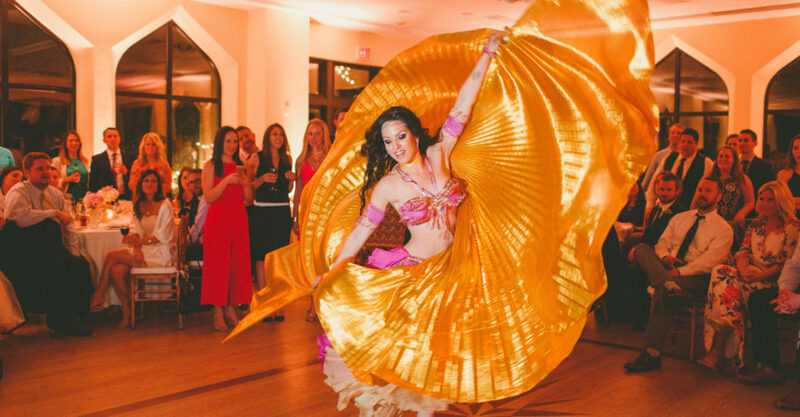 Layla’s experience and expertise with a wide array of stylings from Egyptian Raqs Sharqi, Turkish, American Cabaret, Folkloric to Theatrical Fusion and more have made her a popular dancer with a multitude of audiences throughout NYC. 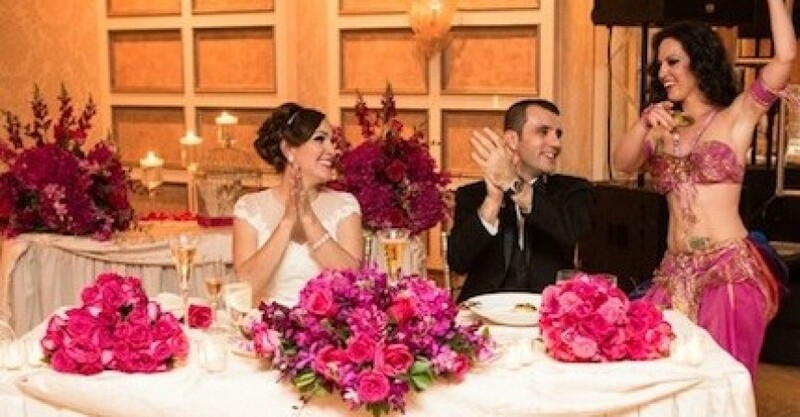 She loves working with clients to tailor the perfect show for their occasion. *Duets and group shows with 3 or more top NYC dancers with Infinity Bellydance are also available. *Show and Lesson combos can be arranged for bachelorette parties, bridal or baby showers. *Travel beyond the NY, NJ, CT, area is also available for additional fees. 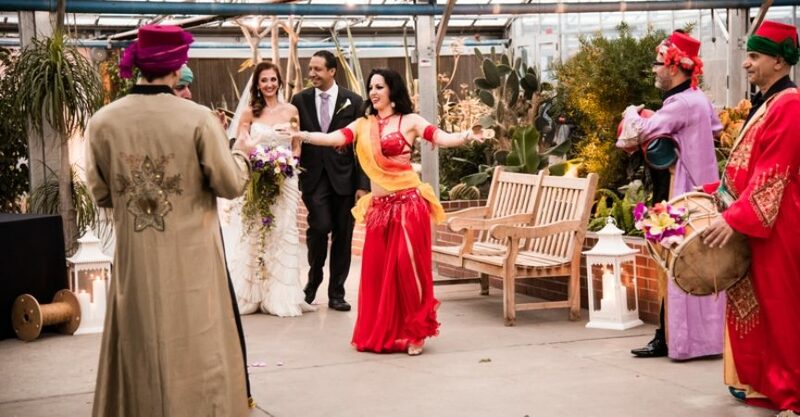 Please inquire for more options including hiring a live drummer or a full Arabic or Turkish band, or other specialty entertainers including DJs, henna artists, tarot readers, snake dancers, and fire dancers! Contact Layla Isis to create the perfect entertainment for your next event!